10-pack. 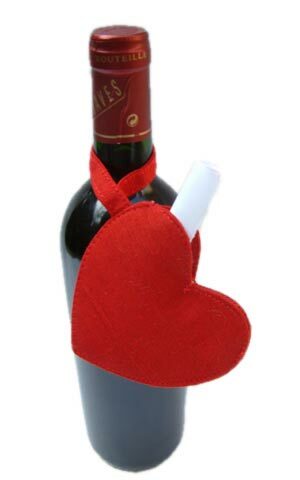 Surprise your loved one with a wine bottle heart-shaped envelope. It is made from raw silk and hangs on the bottle neck. You can write your own secret message for inside. Perfect wine packaging for Valentine's Day. Price per piece is $1.40.